First Data has completed its acquisition of US payments processor firm CardConnect for about $750 million in cash including the repayment of debt. As Banking Technology reported earlier, the Fintech Acquisition Corp acquired FTS Holding Corporation in July 2016 and renamed it CardConnect. At that time, it traded shares of CardConnect on Nasdaq at approximately $14 per share. 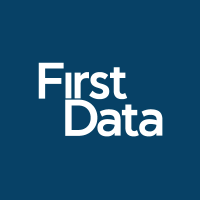 In this latest deal, First Data has acquires all of the outstanding shares of common stock of CardConnect for $15 per share in cash. CardConnect processes about $26 billion of volume annually from about 67,000 merchant customers. First Data says it processes more than 2,800 transactions per second and $2.2 trillion per year. Frank Bisignano, First Data chairman and CEO, says CardConnect is a “long-standing” First Data distribution partner and it will incorporate its solutions “across some of our most important strategic initiatives such as partner-centric distribution, integrated payments, and enterprise payments solutions”. The merger agreement was unanimously approved by CardConnect’s board of directors. In addition, CardConnect shareholders holding approximately 40% of CardConnect common stock entered into tender and support agreements agreeing to tender their shares of common stock into the tender offer and support the transaction. The transaction was subject to the tender of a majority of the outstanding shares of CardConnect common stock as well as other customary closing conditions, including expiration of the applicable waiting period under the Hart-Scott-Rodino Antitrust Improvements Act of 1976. This story was originally published on 30 May 2017 with the headline “First Data to acquire CardConnect for $750m”. Details about the transaction being completed were added. Job cuts on the way as a fintech titan is born. Paybefore chats with First Data’s Ben Love to get some insight into the company's recent moves, as well as the future of payments. Will acquire businesses in parts of Central and Southeastern Europe. Global payments processor i2c Inc. has appointed Peg Johnson as executive vice president of global client success to oversee global operations of its client services and customer success organizations. Johnson will report directly to i2c CEO Amir Wain.